All coin values are showing a decline. In the past days, Binance's hacking caused a hard decline, especially in Bitcoin. Steem and SBD values also continue to decline. 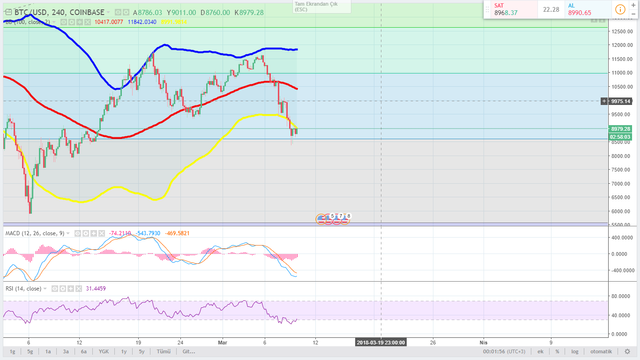 BTC has made a comeback on the $8600 support line. The MACD and RSI graphs also show the buy point. But we can't say what will be yet. 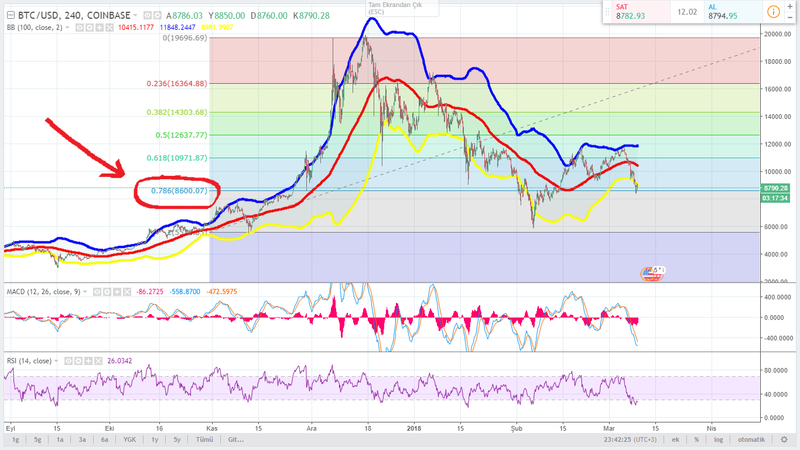 Some analysts think BTC will decline to the $4200 level. You got a 1.87% upvote from @postpromoter courtesy of @hirsliturna! A tu orden, y es de mucho beneficio estas publicaciones para mantenernos informados sobre los cambio que presenta steem, gracias por publicar.Te invito a que pases por mi blog, y me des tu opinión sobre mis ultimos contenidos sera un gran placer contar con tu apoyo desde ya siguiendote, saludos. I feel like BTC might linger at these levels for the rest of the month but $4200 seems very unlikely to me.